Chess is a classic game of strategy, invented more than 1500 years ago in India. Legend has it that the ruler of India asked his wise men to devise a way to teach the children of the royal family to become better thinkers and better generals on the battlefield. Chess was the result. In the centuries since its invention, chess has spread to every country in the world. While countless other games have died out, chess lives on. The chess theory is complicated and many players memorize different opening variations. You will also learn to recognize various patterns and remember lengthy variations. 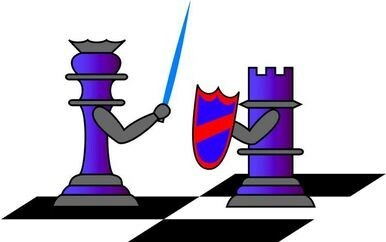 During the game you are focused on only one maingoal -- to checkmate and become the victor. It encourages you to be inventive. There are an indefinite amount of beautiful combinations yet to be constructed. You are forced to make important decisions influenced only by your own judgment. 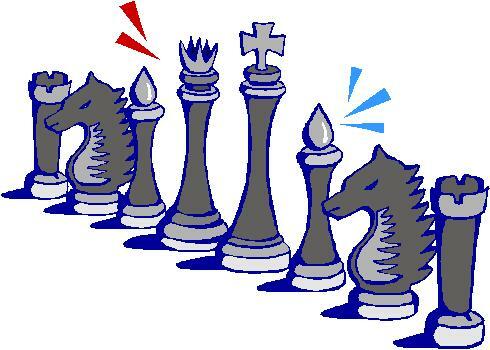 Chess develops the capability to predict and foresee consequences of actions. It teaches you to look both ways before crossing the street. The more you practice, the better you'll become. You should be ready to lose and learn from your mistakes. You may learn much more from a game you lose than from a game you win. You will have to lose hundreds of games before becoming a good player. What do chess players do during the game? Just like computers they engage in a search for the better move in a limited amount of time. You don't have to be a genius to figure this one out. Chess involves an infinite number of calculations, anything from counting the number of attackers and defenders in the event of a simple exchange to calculating lengthy continuations. And you use your head to calculate, not some little machine. There are millions of chess resources out there for every aspect of the game. You can even collect your own chess library. In life, is it important to know how to find, organize and use boundless amounts of information. Chess gives you a perfect example and opportunity to do just that. In the Great Soviet Encyclopaedia chess is defined as "an art appearing in the form of a game." If you thought you could never be an artist, chess proves you wrong. Chess enables the artist hiding within you to come out. Your imagination will run wild with endless possibilities on the 64 squares. You will paint pictures in your mind of ideal positions and perfect outposts for your soldiers. As a chess artist you will have an original style and personality. Chess improves schoolwork and grades. Numerous studies have proven that kids obtain a higher reading level, math level and a greater learning ability overall as a result of playing chess. For all those reasons mentioned above and more, chess playing kids do better at school and therefore have a better chance to succeed in life. Chess opens up the world for you. You don't need to be a high ranked player to enter big important competitions. 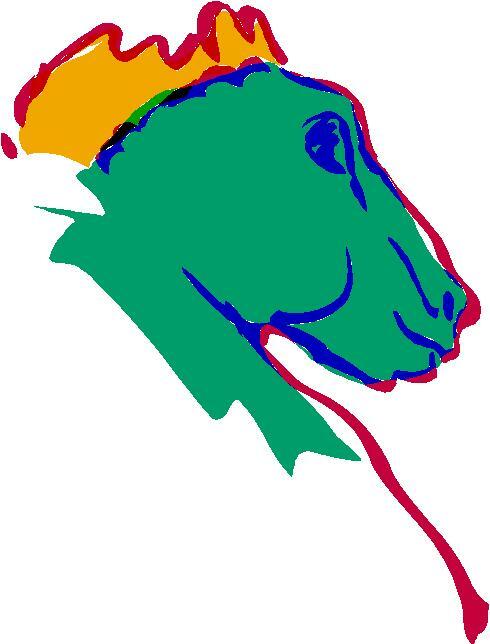 Even tournaments such as the US Open and the World Open welcome players of all strengths. Chess provides you with plenty of opportunities to travel not only all around the country but also around the world. Chess is a universal language and you can communicate with anyone over the checkered plain. Chess enables you to meet many interesting people. You don't need big fancy equipment to play chess. In fact, all you may need is your computer! (or a bigchess set ). It is also good to have a chess set at home to practice with family members, to take to a friend's house or even to your local neighbourhood park to get everyone interested in the game, or even better a bigchess set at your school, college or university. Chess needs to be played at all schools because we believe it directly contributes to academic performance. Chess makes kids smarter. Planning - Children are taught to develop longer range goals and take steps toward bringing them about. They are also taught of the need to re-evaluate their plans as new developments change the situation. Juggling Multiple Considerations Simultaneously -Children are encouraged not to become overly absorbed in any one consideration, but to try to weigh various factors all at once. None of these skills are specific to chess, but they are all part of the game. The beauty of chess as a teaching tool is that it stimulates children's minds and helps them to build these skills while enjoying themselves. As a result, children become more critical thinkers, better problem solvers, and more independent decision makers. These conclusions have been backed up by educational research. 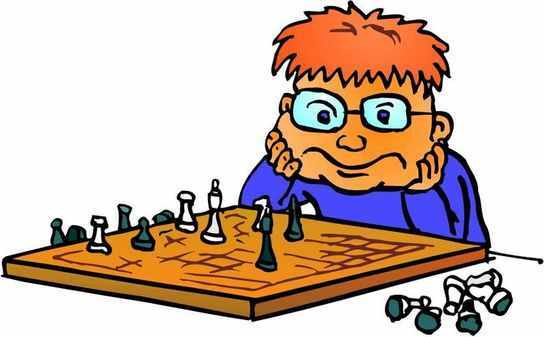 Studies have been done in various locations around the United States and Canada, showing that chess results in increased scores on standardized tests for both reading and math. A study on a large scale chess program in New York City, which involved more than 100 schools and 3,000 children, showed higher classroom grades in both English and Math for children involved in chess. In the schools, chess often serves as a bridge, bringing together children of different ages, races and genders in an activity they can all enjoy. Chess helps build individual friendships and also school spirit when children compete together as teams against other schools. 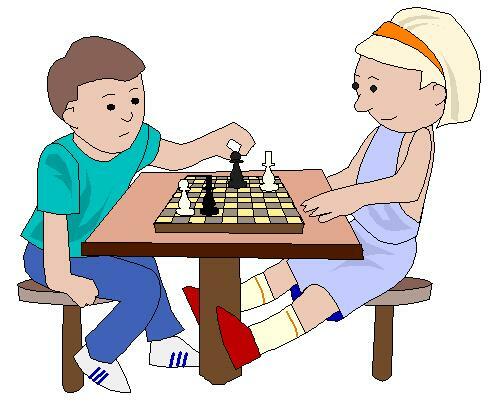 Chess also teaches children about sportsmanship - how to win graciously and not give up when encountering defeat. For children with adjustment issues, there are many examples where chess has led to increased motivation, improved behaviour, better self-image, and even improved attendance. Chess provides a positive social outlet, a wholesome recreational activity that can be easily learned and enjoyed at any age. 1) Chess accommodates all modality strengths. 2) Chess provides a far greater quantity of problems for practice. 3) Chess offers immediate punishments and rewards for problem solving. 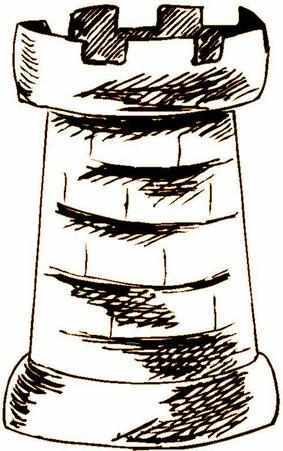 4) Chess creates a pattern or thinking system that, when used faithfully, breeds success. 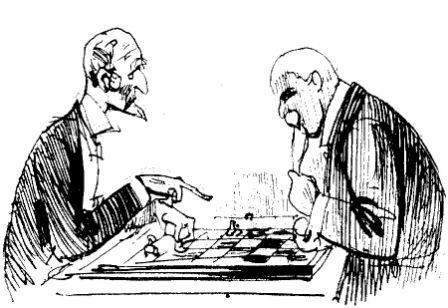 The chess-playing students had become accustomed to looking for more and different alternatives, which resulted in higher scores in fluency and originality. 5) Competition. Competition fosters interest, promotes mental alertness, challenges all students, and elicits the highest levels of achievement (Stephan, 1988). 6) A learning environment organized around games has a positive affect on students’ attitudes toward learning. This affective dimension acts as a facilitator of cognitive achievement (Allen & Main, 1976). Instructional gaming is one of the most motivational tools in the good teacher’s repertoire. Children love games. Chess motivates them to become willing problem solvers and spend hours quietly immersed in logical thinking. These same young people often cannot sit still for fifteen minutes in the traditional classroom. Both males and females showed an increase of intelligence quotient (IQ) after less than a year of studying chess in the systematic way adopted. Most students showed a significant gain after a minimum of 4.5 months. Children love games. Chess motivates them to become willing problem solvers and spend hours quietly immersed in logical thinking. These same young people often cannot sit still for fifteen minutes in the traditional classroom. "The most wonderful thing about chess is the way it transforms people from the inside out," - quote from Goethe: "Chess is the touchstone of the human intellect," "Chess teaches patience, foresight, long-range planning, and the ability to find alternative solutions." "When students start playing chess, you can see the [academic] improvement immediately. From the first day when a child learns how to move a pawn, you'll a difference in their attitude, their behaviour, and their success in school." "Chess requires that individuals become actively involved in a mentally demanding competition; its effects are stimulating, wholesome, and healthy." BigChess goes to the GeekFest again! !